I have delayed writing this post. Its been too painful. 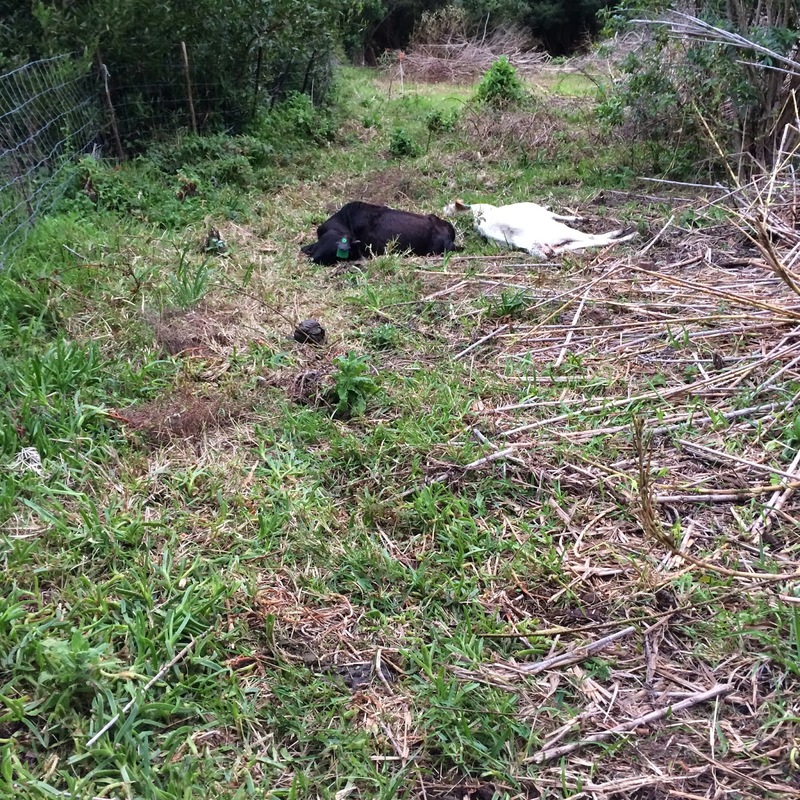 Three cattle are dead. Tick born disease perhaps. Inkberry poisoning, also a possibility. I had to go out of town last weekend. I left on Friday. When I came back on Tuesday, they were dead. I am devastated by this failure. I know all the rhymes about how we learn from failing, Its just that it feels so bad. It feels so discouraging .It brings everything into question. It brings my dream of this farm into question. I know it shouldn’t. I know I should just shrug it off, but I am just telling you how I feel. I know that I am not ready to bring animals onto the farm, I know I am not ready to but the farm I know things are too hectic with work and with family. I know all of this, but I also know that the only way to make this happen is to make it happen. But maybe this is what this blog is about: Communicating the real struggle that it is to transition to some kind of agrarian reality. Showing that its not all about strolling in the forest and singing songs by the camp fire at night. Its real and it gets nasty! Previous Previous post: Look after what we have got. Next Next post: Dam and Damn Aliens.